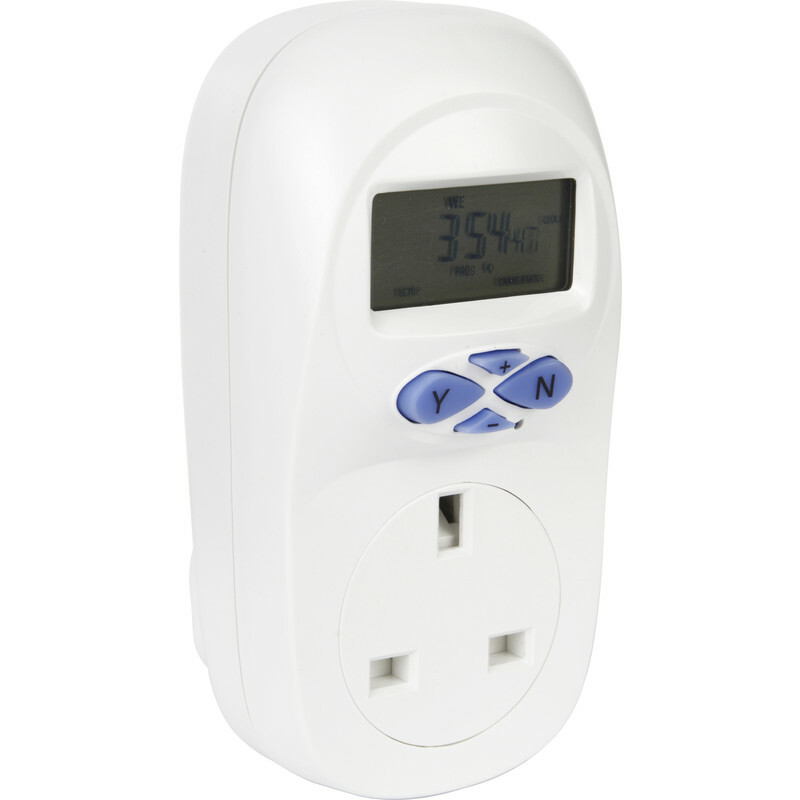 Plug in timer with 24 on/off programmes. Repeats programmes daily. Random feature. Manual override facility. 150 hours battery back up. 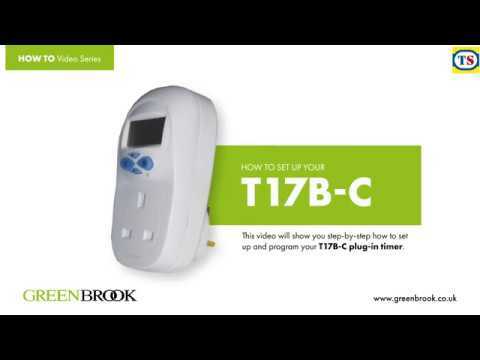 Greenbrook 7 Day Plug In Electronic Timer 7 Day is rated 2.4 out of 5 by 8. Rated 2 out of 5 by Sabetan from Electric timer Too comPlicated to use. I have returned the item. Rated 1 out of 5 by Charu from Rubbish! It took me one hour to finally figure out how to get it working as the instructions are not clear at all! Finally figured it out and it doesn't even work! Rated 2 out of 5 by StuartC from Ok, while it works Tricky to program. Instructions are not the clearest. Once you get the hang of it the display fades into nothing and makes it impossible to use. Then goes random. Get a different brand / model if you want a reliable one. Rated 5 out of 5 by SabreRocky from By far the best plug in timer available This timer has 24 on-off programs per day! No other timer comes close, they are all usually up to 10 on-off programs per day only. Plus, this timer handles 3000watts, not just the usual 2400watts. Very easy to use and reliable. Superb product, thanku ToolStation, no other supplier has this one. Rated 1 out of 5 by Sootty from Don't Get This One Unit randomly kept resetting and I had to return it after less than 2 days. The display was dim and difficult to read when it was working. If you need an electronic timer I would recommend going with one of the other ones that Toolstation sell. Rated 4 out of 5 by DAC tyke from Works well, wish the instructions were better. The timer looks good (the display is rather dark) and works fine but the instructions seem to have been written by a geek. Makes an easy set up much harder. Rated 3 out of 5 by Jules61 from Does the job I bought this to replace a previous timer of the same make (Kingshield) that had lasted for years controlling my central heating. The previous model had more buttons and thus made programming or manual over-ride much easier. By only having 4 buttons one has to scroll through far more to get to what you want to do, and also the buttons are slow to react meaning they don't always register what you have done. However, it all works fine once programmed, and considering other brands seem to have poor reliability I hope this one matches it's predecessor.